Oh look, It's the terrorist king. Good job at life. 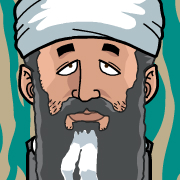 Osama is great. Saw 'azer' avatar. Are you from Azerbaijan?